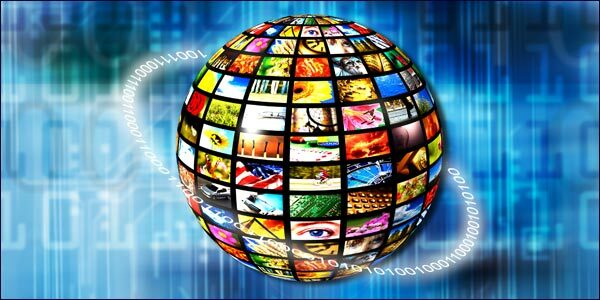 Online Marketing Continues To Outpace TV And Newspaper Advertising. Posted on 31st March 2011 at 09:56. The first casualty in any recession is usually spending, be that public or private. Everyone has to tighten their belts and bunker down until the downturn reverses. We’ve all seen the effect that Government cut backs are likely to have, but what about private spending? Has this noticeably reduced since 2008? Well, the answer is obviously that it has, but what’s surprising is that it isn’t necessarily what we’re spending that changed, more how we’re spending. Internet marketing has transformed the way manufacturers and retailers sell their products and services, and we consumers have bought into this new online advertising in a big way. A recent study by the Internet Advertising Bureau (IAB) in conjunction with accountants, PwC, found that online advertising grew by 3 times the rate of traditional advertising like newspapers and TV during the course of 2009. Their study also showed that online advertising grew by a further 12.8% during 2010, breaking through the £4 billion barrier. Although ‘online’ significantly outpaced the more mainstream advertising mediums, there were also signs of recovery here too. The reason for this upturn in advertising is simple, according to the chief executive of the IAB, Guy Phillipson: “major brands restored their advertising budgets in 2010 and the biggest winner was online.” Not all online marketing performed to the same degree though – some areas were undoubtedly more successful than others. The most dramatic levels of growth were seen in display advertising on social networks which grew by over 200% during the year. Naturally Facebook led the charge in the race to persuade advertisers that social network sites were the obvious place to promote products and services. With figures currently showing online users spend 25% of all their time on social networks, it’s understandable that advertisers were keen to tap into the new market. There was also notable growth in mobile marketing during the period, with finance, telecoms and consumer brands trying to get to the audiences that were on the move, and an increasing use of online video, with £54 million ponds spent on adverts that appeared before, du=ring or after video footage. Traditional search advertising also continued its steady growth, though at a more conservative rate of 8%. So why is online advertising proving to be such a success? What gives it the edge over newspaper and TV advertising? Targeting is the simple answer to that. Advertisers know who they want to appeal to, and have access to data that means their messages and offers reach the very people who are more likely to take up these offers. Traditional advertising tends to use more of a broad brush approach to marketing, where results can never be guaranteed. It’s not all gloom and doom for the offline advertising. TV marketing saw a slight increase over the period after a year or tow of dramatic decline. Newspaper and classified advertising hasn’t managed to recover to the same extent though. Both mediums have had to change their focus, and have moved much of their content online in the hope that things will start to improve when the market starts to recover. Is Blogging Past Its Sell By Date?Who’s Tweeting You?